Test Drive & Win! 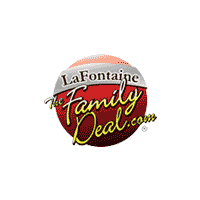 2018 Black Friday Giveaway from the Family Deal | LaFontaine Chrysler Dodge Jeep Ram of Clinton " "
Why wait until Black Friday for a great deal? This month at LaFontaine Chrysler Dodge Jeep Ram of Clinton, we’re pulling out all the stops to give you the best deal around all month long! Not only will we give you the Family Deal, we’ll also pile the whip cream high on your pumpkin pie by presenting one lucky winner with $1,000 CASH! Schedule a Test Drive by filling out the quick and easy form below. Take the vehicle for a spin! Warning: feelings of euphoria may occur. Get the wishbone from your Thanksgiving meal and cross your fingers. Pick out the vehicle you’d like to test drive from our expansive (and impressive!) inventory listed below. The Family Deal Price reflects FCA Employee Purchase Pricing. You must qualify for FCA Employee Pricing to obtain this price. New vehicle pricing includes all offers and incentives. Dealer installed options/items, Tax, Title and Tags not included in vehicle prices shown and must be paid by the purchaser. While great effort is made to ensure the accuracy of the information on this site, errors do occur so please verify information with a customer service rep. This is easily done by calling us at (866) 627-8054 or by visiting us at the dealership.Monthly payment calculator is an estimate and does not include tax, $15 title, license or $220 doc fees. *To be entered to win the $1,000 you must schedule a test drive of any New or Pre-Owned vehicle and complete the test drive at the dealership between November 1st and November 29th,, 2018. One entry per customer. The winner will be announced on Friday November 30th, 2018.